What We Do — Military Experience Museum Inc. 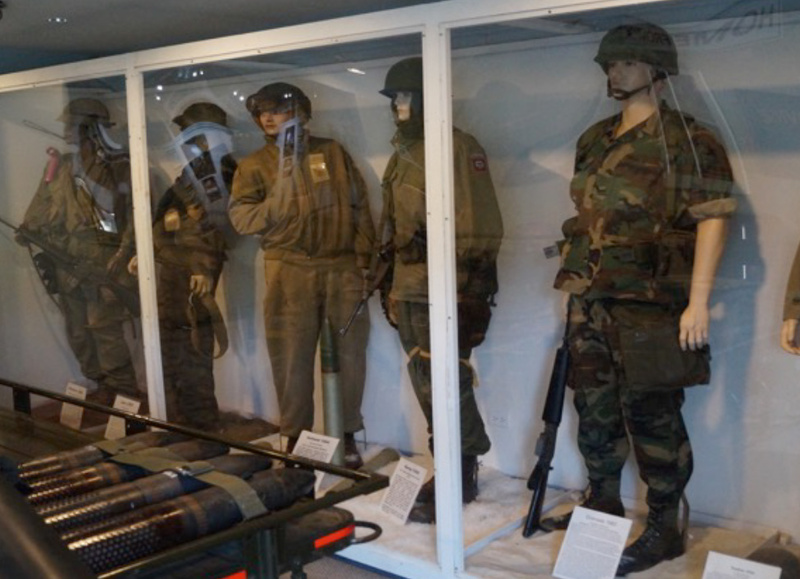 The Military Experience Museum is a not-for-profit educational institution dedicated to honoring those who have service in all branches of United States military as well as civilian history related to war efforts and support provide to the military in all eras. The Museum will also provide education and displays on foreign military, both allies and foe as part of the educational understanding of military actions. The Museum's main focus will be the eras from World War II through modern day, with dedicated and loaned displays and exhibits. The audio video will capture veteran stories and experiences through these time periods. The Museum will have an outreach program for military history going back to the founding of the United States. The Museum serves to educate the public by telling individual stories of personal experience, realities of war, and sacrifices made by Americans striving to preserve our freedoms. The Museum inspires visitors by enabling them to experience military vehicles, explore artifacts, and participate in military simulations and reenactments. One of the most exciting projects we are involved with is capturing video interviews from veterans and family members about their real experiences. There is nothing more powerful then hearing about real experiences from the person who did it.